Don’t this telephone number 020 3746 5234! You will demand it whether for same-day and emergency reservations, or for regular furniture cleaning. Book our comprehensive upholstery and sofa cleaning service. You will not regret! The perfect final outcome is guaranteed! RA Sofa Clean has made its reliable sofa and upholstery cleaning service with the general purpose to meet any unique customer’s needs. This is why you can apply for the procedure for residential and commercial purpose, along with for a single visitation or on a regular basis. 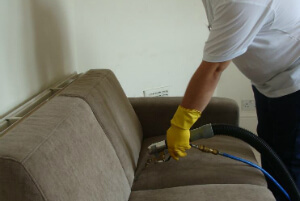 We can offer you weekly, fortnightly or monthly upholstery and sofa cleaning service in Merton SW19. What makes us so successful through the years and round the whole UK cleaning industry, though, is our crew of experts in hygiene and the gentle approach into finding the best equipment and tools for the methods. No stain can scare us and even the dirtiest or the oldest sofa is accepted by our xpert company. We can remove all types of spots, including oily or machinery oily spots, spots made of glue or paint after home redecoration and renovations, grass, red wine, blood, mud, ink and etc. Besides, our top rated Merton SW19 sofa and upholstery cleaning company accepts all types of furniture: seats, stools, chairs, sofas, dining chairs, divans, antique and decorative upholstery and etc. We have the right formula for any sofa or upholstery material: linen, wool, silk, leather, suede, acryl, viscose. Whatever your upholstery and sofa type is and no matter how dirty it is, we will accept it. We can eliminate any type of stain: including coffee, grass, urine wine, blood, ink, and etc. We have expertise in cleaning armchairs, divans, sofas, chairs, antique and decorative divans. We can also give you smart solutions for leather upholstery based on a modern leather foam cleaning technologies. If you are suede upholstery holder, we can give you excellent deals on a budget with zero harmful effect on the soft material. Dry sofa and upholstery cleaning with no liquids and especially adapted for delicate and natural components. Contact us on this number 020 3746 5234 today! Get a 100 % free quotation or make a immediate reservation for our hassle-free sofa and upholstery cleaning service in Merton SW19!